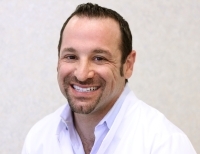 Bradley Matthew, DDS, MICOI, is a Los Angeles dentist specializing in cosmetic dentistry procedures. It is Dr. Matthew's goal to help you maintain your oral health. He provides each patient with personalized care and the latest dental techniques and procedures. He is an expert at creating and enhancing beautiful smiles for all of his patients. Dr. Matthew received his Bachelor of Science degree from UCLA in 1996 and attended dental school at New York University College of Dentistry where he received his DDS in 2001. At NYU, he was involved in both the Oral Medicine and Faculty Practice Honors programs. After graduation, he completed a General Practice Residency at Peninsula Hospital Center in New York where his training emphasized the treatment of medically compromised patients, as well as emergency room care. While at Peninsula Hospital, he received the Leadership Award given for excellence in patient care. Dr. Matthew is also a Master in the International Congress of Oral Implantologists (FICOI). Dr. Matthew, DDS, MICOI, was recently awarded a fellowship from the International Congress of Oral Implantologists (ICOI). This prestigious group is devoted to educating dentists and their teams to better serve patients from around the world. ICOI is both the largest dental implant organization in the world and the largest provider of continual dental implant education. Dr. Matthew, DDS, MICOI is a current member of the ADA, the CDA, the ICOI, the West Los Angeles Dental Society, and the Seattle Study Club. He spends his spare time with his wife, Christine, their son, Chase, and their two daughters, Olivia and Sydney. His private dental practice, South Bay Smiles, is conveniently located for patients in many West LA cities, including Playa Del Rey, Marina Del Rey, Culver City, Hawthorne, Ladera Heights, El Segundo, Manhattan Beach, Hermosa Beach, Redondo Beach, and Westchester.